Every couple hopes the weather on their wedding day will be perfect, but what if it isn’t? 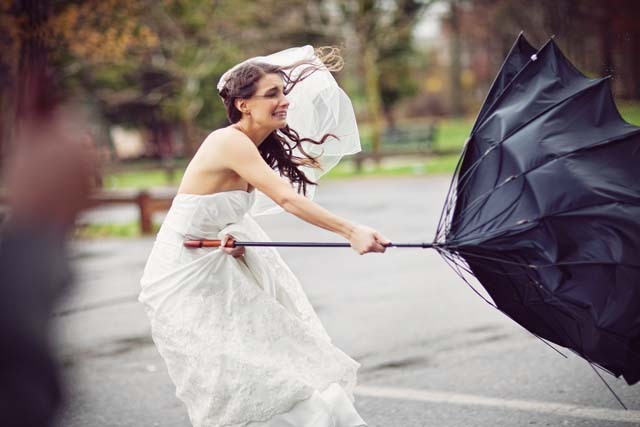 It’s best to be prepared for whatever Mother Nature throws your way, here are some tips and tricks from our Wedding Planner Team. Talk to your venue. Before you book a venue, find out what their Plan B offerings are. Do they have an indoor space available? Do they provide tents or some other type of temporary structure? While you were probably drawn to the venue for its primary spaces, you want to understand what you’ll get if the weather doesn’t cooperate. If the backup options are not up to par (or there isn’t one), you may want to consider another venue or figure out if you can bring your own backup. If you’ve fallen in love with an outdoor venue that doesn’t have an adequate contingency plan, best way to have the same venue for your wedding is postpone your wedding. Prepare your guests. Whether your decision is, please make sure to let your guests know it. That is a really good tip particularly to those fresh to the blhgsopoere.Short but very precise informationâ€¦ Appreciate your sharing this one.A must read post! Weeeee, what a quick and easy soulniot.